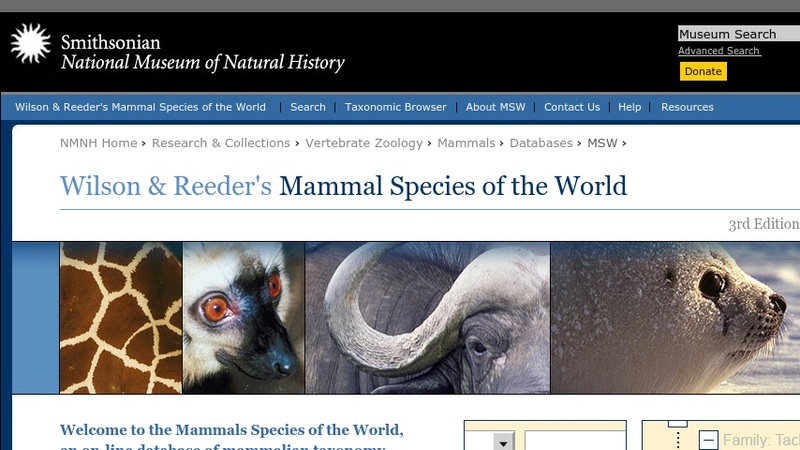 Mammal Species of the World (MSW) is a database of mammalian taxonomy intended for use as an online reference for identifying or verifying recognized scientific names, and for taxonomic research. The online list was compiled under the auspices of the American Society of Mammalogists. It is browseable as a text file and is downloadable in several file formats (Excel, CSV, PDF, Winzip). The data are presented as a table organized by taxonomic hierarchy: order, family, subfamily, genus and species.